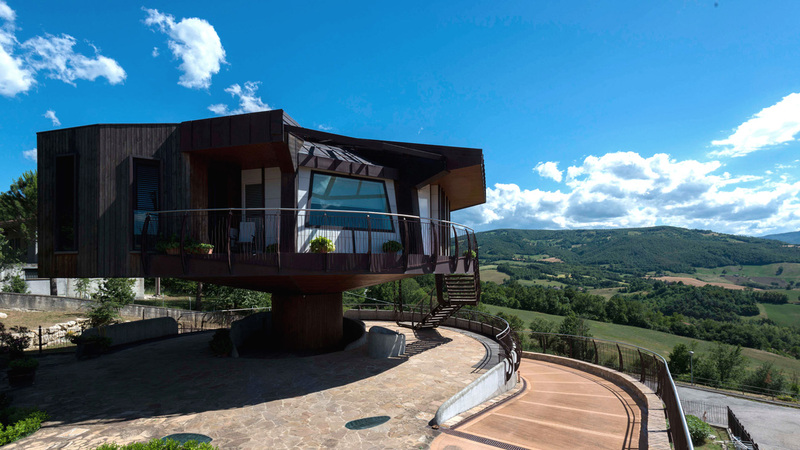 Architect Roberto Rossi has completed a house in northern Italy that can rotate 360 degrees. 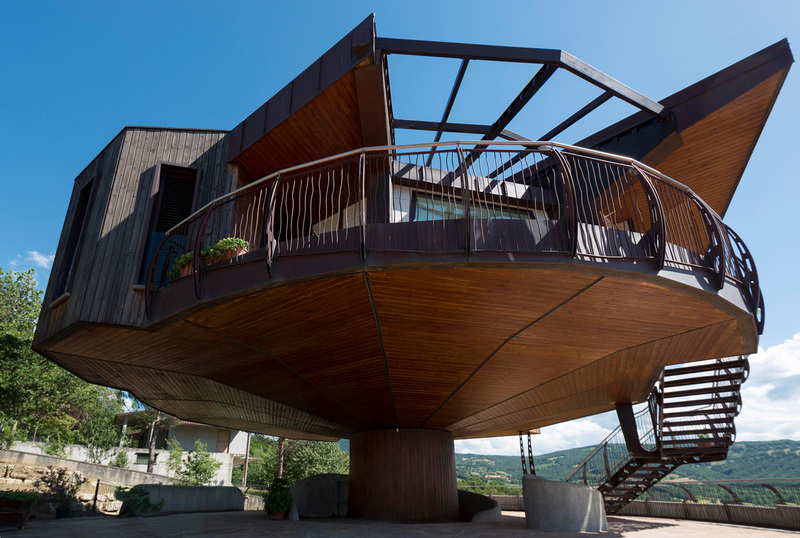 Balanced on a central pillar, the octagonal house can be mechanically rotated in both directions to give its owner varied views. 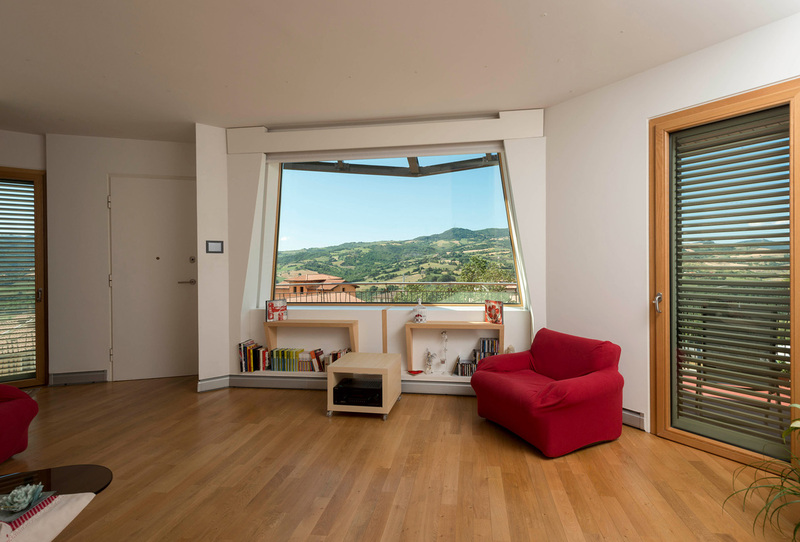 The rotation is also used to direct the house’s solar panels towards the sun. 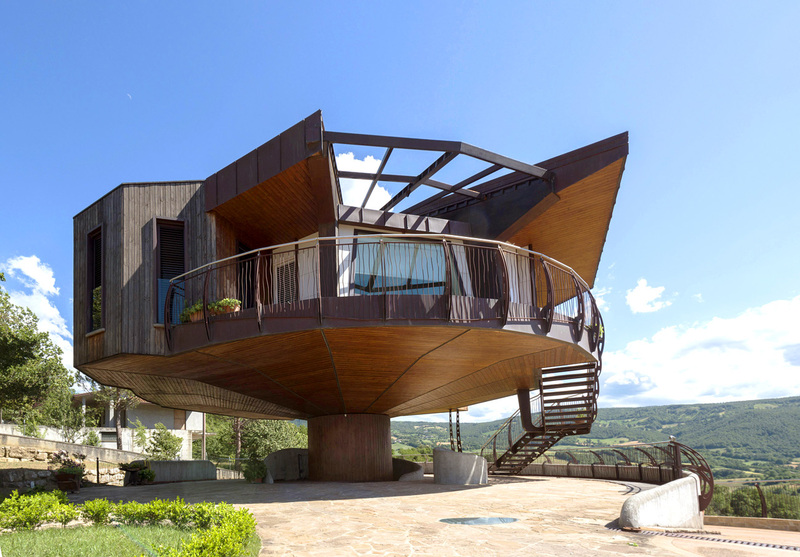 The house takes cues from another Italian home that can be rotated; Villa Girasole is an experimental two-storey house built in the 1930s by architects Angelo Invernizzi and Ettore Fagiuoli, which revolves on circular tracks around a central point. 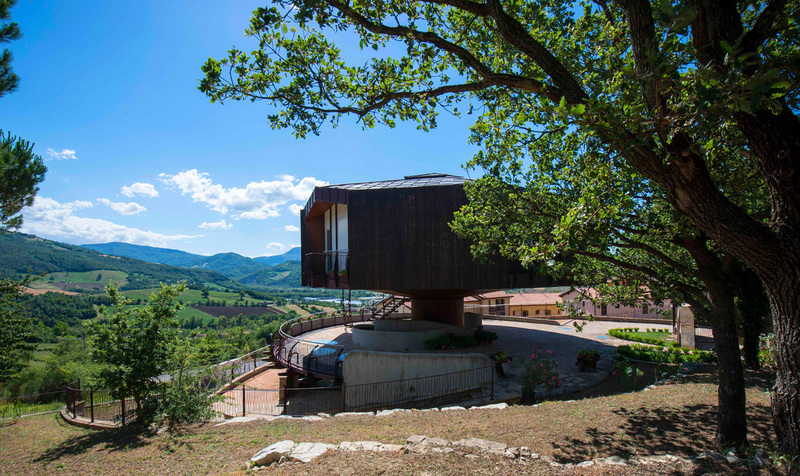 Located near the city of Rimini, Rossi’s house was constructed by Italian building contractor ProTek. The challenge was to keep the building lightweight and to allow it withstand traumas caused by its rotation. 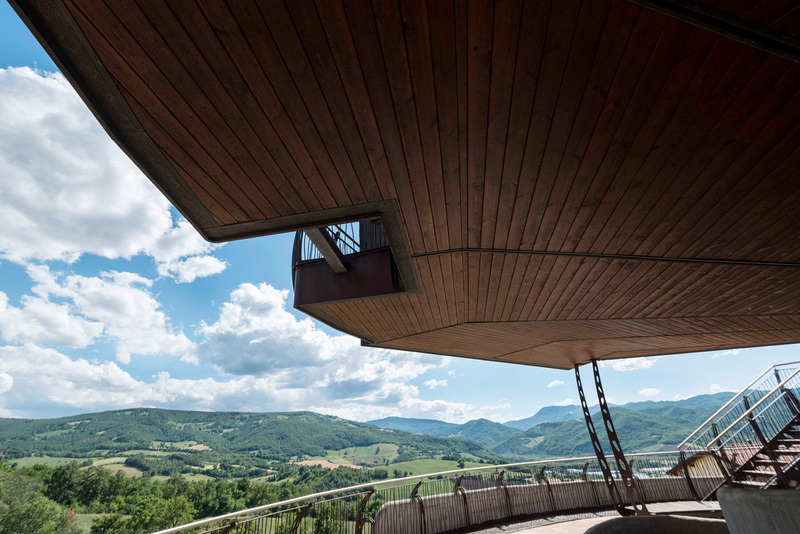 The structure has a steel frame, with walls made of wooden strips, and insulation panels of hemp and wood fibre. 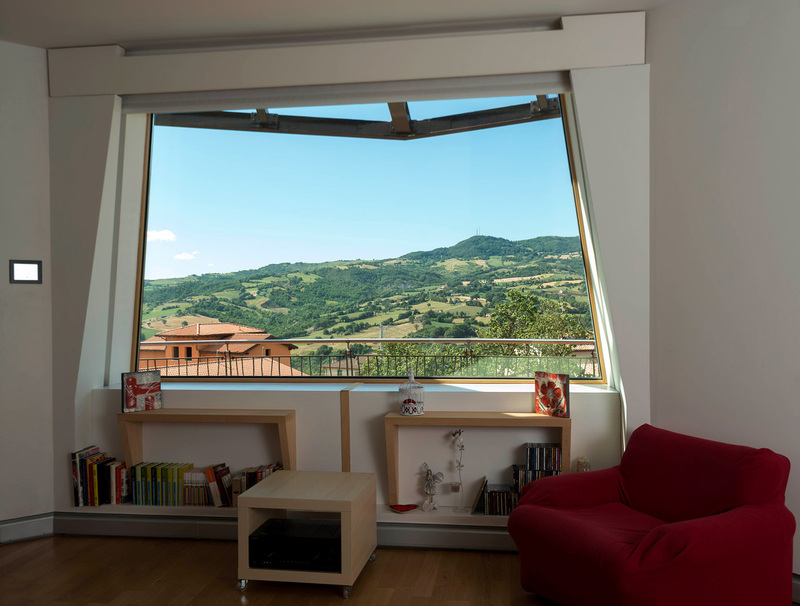 According to the architect, the house generates all of its own energy. The solar panels are fitted on the roof, so are able to take full advantage of the sun at all times of the day. 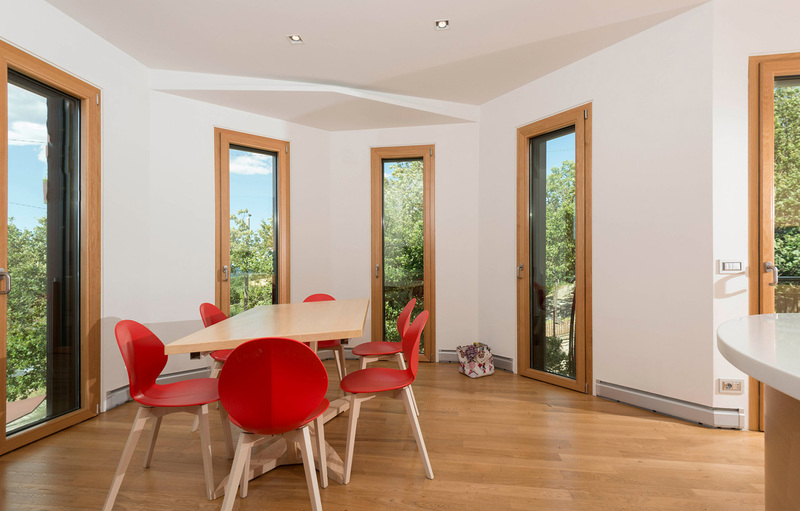 Along with the solar panels the house is equipped with a heat pump and a solar thermal system, which also generate energy. 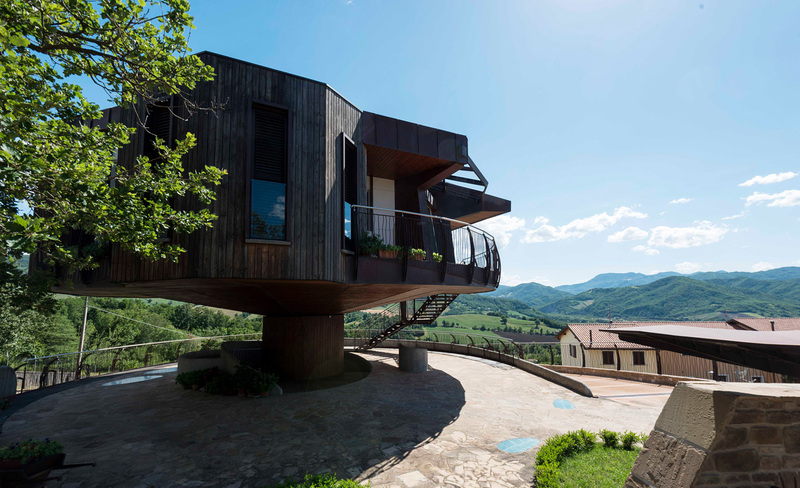 Rossi’s house is the latest in a series of buildings that move – check ReActor.